High Line Open Studios evolved out of an annual grass roots movement by West Chelsea artists organizing to open their studios to the public. This movement, starting back as early as 2000, has been spearheaded by a handful dedicated artists over the past decade. 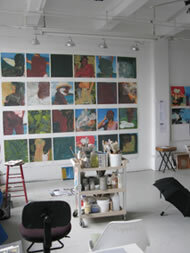 In 2007, a group of four artists housed in the West Chelsea Arts Building at 526 W26th Street formalized the annual event under the name of High Line Open Studios. This annual event allows area artists to open their studios to the public. Art lovers, collectors, dealers and visitors are allowed to meet the artists and see first hand where some of the world's greatest contemporary art is created, before it hangs on museum and gallery walls. This year is the ten year anniversary of the High Line Open Studios annual event. Presented annually, twice a year, in March, and again in October with its 2-day weekend event. 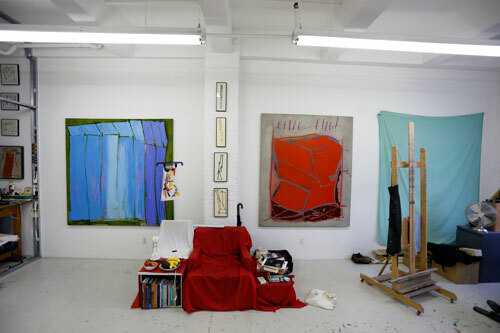 There are now more that 50 - 100 participating artists, with studios located in more than ten buildings throughout the West Chelsea Arts district. In the 1990s, many of New York's commercial art galleries and dealers moved from Soho and 57th street to West Chelsea. Just as Soho had been transformed by artists in the 1960s, so West Chelsea underwent a massive change. Previously, West Chelsea had been an industrial area bustling with factories, auto body shops and garages. Today, those garages house some of the top contemporary art galleries in the world. West Chelsea is now considered by some as a contemporary art mecca. 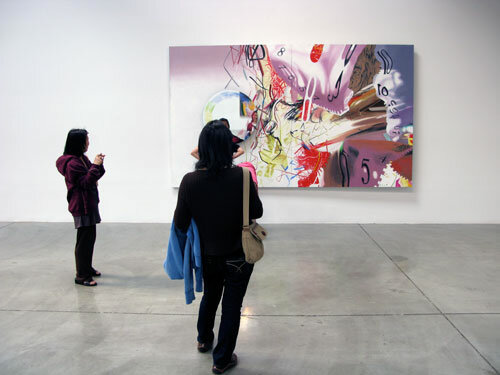 Artists, collectors, dealers, art lovers and tourists come from all over the world to check out the latest contemporary art trends on the gallery walls and to tour the neighborhood. © copyright 2019, High Line Open Studios. All rights reserved.